If you have ever used a slow cooker to slow cook something, then you might know that slower is sometimes better. It’s wonderful for foods like beef stew or roasts. I love to slow cook something all day because the r esults are always worth it. The same goes with tea. Depending on the tea you’re brewing, sometimes it’s worth brewing it just a bit longer for a wonderful flavor. This method applies with Sun Tea. What is Sun Tea? It is tea that has been brewed and left out in the sun for several hours. It is very easy to make. All you need is about 3-5 teabags of your favorite tea (the most common used is Lipton but I used Yorkshire) or more, depending on how strong you like your tea, distilled or filtered water, and a large clear container with a lid. Simply fill the container with water and add the teabags. Take the container out to a sunny area, either indoors or outdoors, where it gets a lot of sun (or else it’s not sun tea!) and let it stand for about 2-4 hours. Bring it out of the sun and chill in the refrigerator. Once chilled, add sweetener and ice to taste. Enjoy! 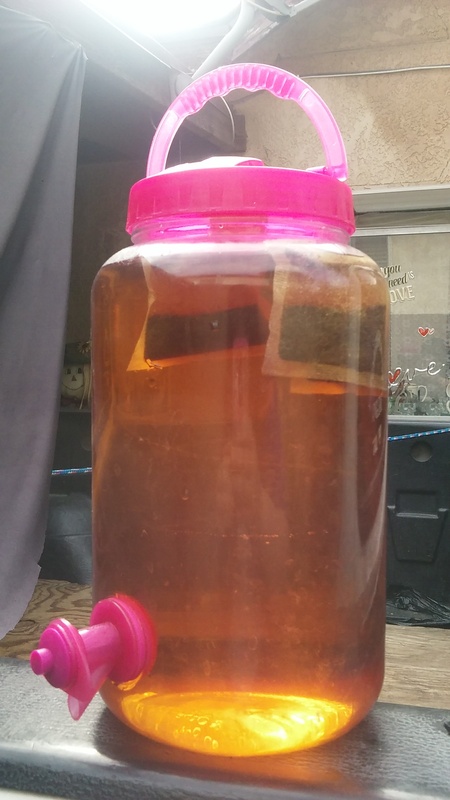 Sun Tea is the best during the summer because it puts the summer heat and sun to good use and “boils” the tea for you, saving energy and money on your gas and/or electric bill. You won’t need to use a kettle so it doesn’t heat up your home. Try making some Sun Tea this summer. You will not be disappointed! 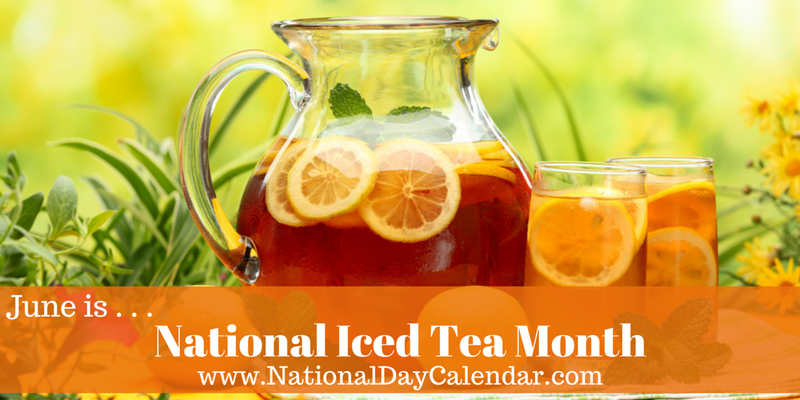 Try making Sun Tea with other kinds of tea, like green or herbal. Add fruit or herbs with the brew for a lovely flavor! 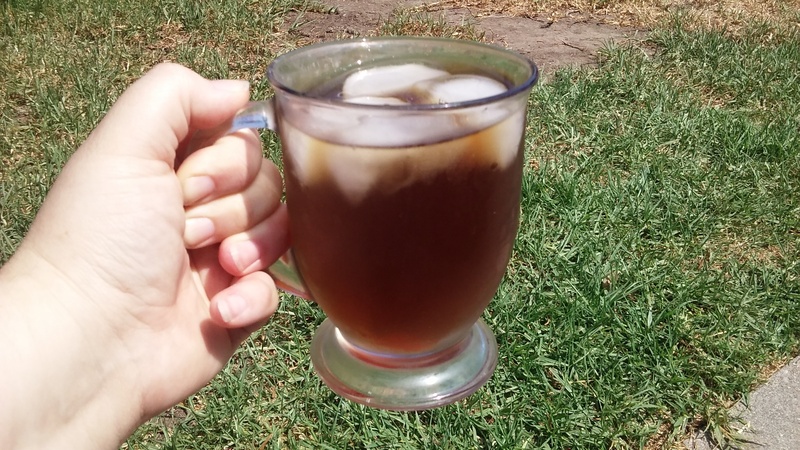 If you live in the South in the US then definitely try the following sun tea recipe: favorite container, tea bags(enough for your size container), freshly sliced oranges and 1-2 sticks of cinnamon. Place all ingreds. into container and leave outside in the sun for up 2 hours. You do want to check in regular intervals of time to make sure the tea bags are still in tact. Sometimes southern heat spells can make the bags tear open.